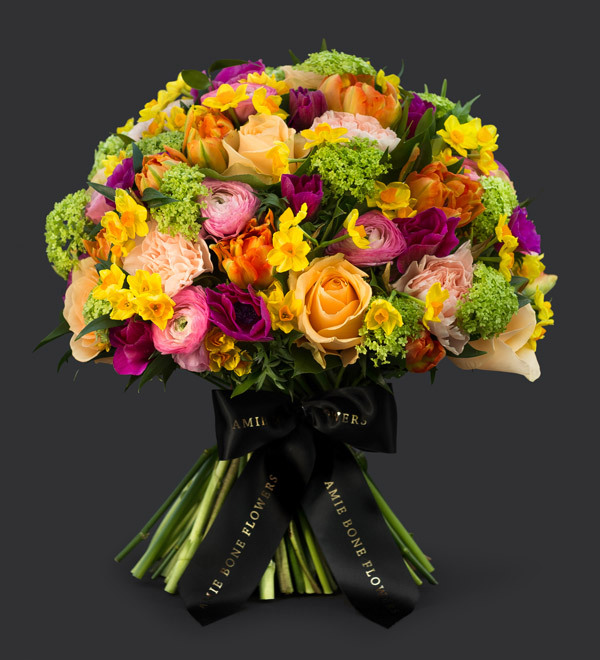 Sweetly scented narcissi, peach avalanche roses, clooni ranunculus, anemones, viburnum, and double tulips expertly arranged to create this spring beauty. With all the glories the season offers, the awakening bouquet is a firm favorite with our customers. The bouquet comes arranged in water and is beautifully gift wrapped in complementing cellophane and an Amie Bone Flowers gift bag.